You know the old saying, “It is better to give than receive.” For many families the best gifts they can give is the gift of themselves … through volunteering. 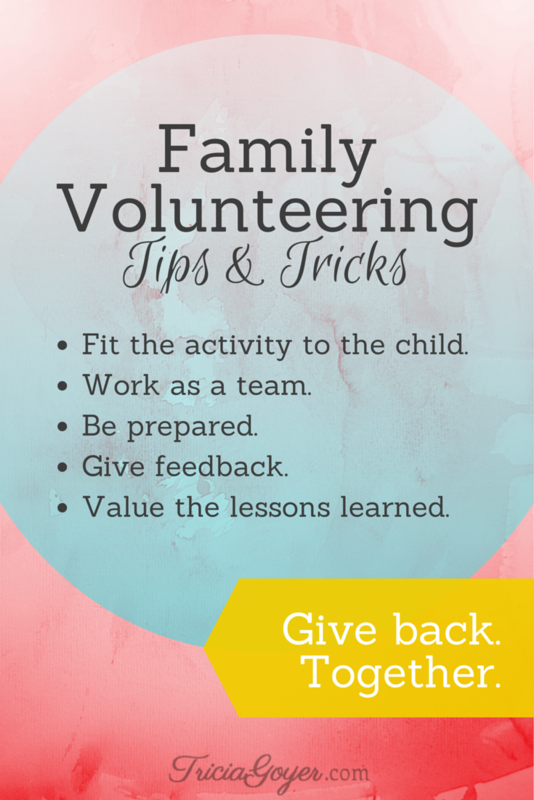 When preparing for a volunteer activity it’s important to know what to expect. and … Why is our role important? The same spirit that inspired President Kennedy to create the Peace Corps on a national level can be a very real part of the lives of you and your children. Your family can be a blessing to those in your community, and you’ll benefit as well! God, thank you for my family. Give us opportunities to give back to our community together. Give us a common love for the people and place nearby. Help us to value the lessons we learn as a team. Doing Good Together was founded in 2004 on the belief that when parents engage with their children in community service, they pass along the spirit of giving and goodness to their sons and daughters, strengthen their families, and create a new generation of volunteers, philanthropists, and kind, caring adults.